You’ve heard all the claims the marketing gurus make about building email lists quickly. In fact, you’ve heard so many claims you wonder if any of them are true. Well, this claim is real, verified by online articles at the Wall Street Journal and Forbes, not to mention a profile on CBS News. Not only did 33-year-old Mike Dubin of DollarShaveClub.com gather 25,000 subscribers in one week–he lined up the first 12,000 of them in just 48 hours. There’s more. Dubin’s list members gave him their credit card information and physical addresses, too. And they pay him between $3 and $9 (or more) every month. Sounds like bull-hockey, doesn’t it? What if I told you that today, by the end of Dubin’s first full year in business, he has over 200,000 site members paying him an average of no less than $4 each per month? Yes and no. It took some work. Backtrack to a party in 2011. Mike Dubin and co-founder Mark Levine met there and ended up talking about shaving. Both agreed they hated shopping for razors. Now, Mike’s a marketing guy, and Mark knows manufacturing. They put their heads together to create a plan. Dubin and Levine spent just over one year lining up their ducks. They came up with about $45,000 in start-up funds, then raised another $100K through a Los Angeles-based business incubator. Before they launched DollarShaveClub.com in March of 2012, they had convinced some big-hitter venture capital firms to put up another $1 million investment. Don’t Throw Your Hands up in Frustration Just Yet. You don’t need a million dollars. These guys went big and they did it quickly. They built a great little website and lined up international manufacturing for their product. They hired five employees and a PR firm to get the word out. 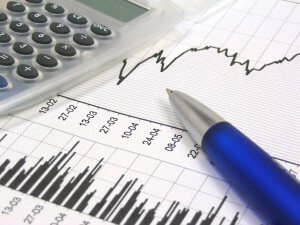 But they also left behind a roadmap for online marketing that any of us can follow, even without that pile of cash. ● They found their target audience’s pain point and created a product offer to end that pain. ● They created a simple landing page to perfectly demonstrate and sell their solution. ● They launched their product with a single smart and powerful video pitch. Do Any of These Ideas Sound Familiar to You? 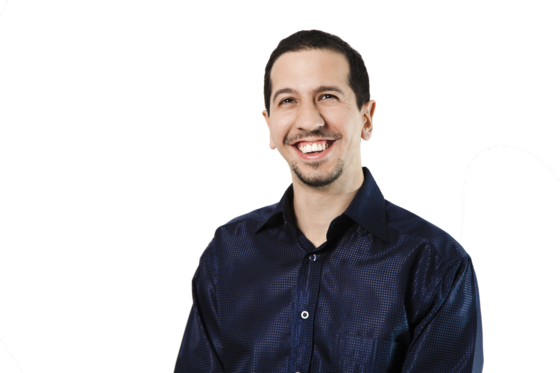 If you’ve been following the advice on Mirasee, or taken any of Danny Iny’s audience-based business training, you’ve come across crucial steps like these before. Let’s take a closer look at DollarShaveClub.com (DSC)’s marketing strategy. First, you have to know your Ideal Customer intimately. For DSC, Mike and Mark targeted “guys who shave with razors.” That’s a big market (over $10 billion annually, worldwide), but it’s already dominated by an elite club of major players like Gillette, Bic, and Schick. Still, in huge markets there’s often room for innovators. Next, you need to identify your prospective clients’ pain point. What bugs the heck out of your would-be customers? Dubin and Levine agreed on “Hate shopping for razors. Hate running out of them,too.” There was no way DSC could compete head-to-head on price, shelf-space, selection, or mainstream media marketing. But convenience? Maybe they had something there! It’s one thing to know what ticks off your audience. The question becomes, how can you cure that pain? You have to offer a viable solution that your potential customers can relate to, with an offer convincing enough to get them to sign up. Now, What Marketing Professional Doesn’t Love a Great, Affordable Subscription Plan? Selling once-and-done products can be tricky, even when you have an amazing offer. If your product cures your customers’ biggest gripe in one swoop, what do you do next? However, if the cure you provide has to be ‘re-applied’ once each month–now there’s a plan! Dubin and Levine decided to offer their subscribers a way to order their razors monthly at a price point that would actually save them some money. “I hate shopping for razors, and I keep forgetting to buy more” leads to “My razors come to me every month for one low price.” Brilliant! 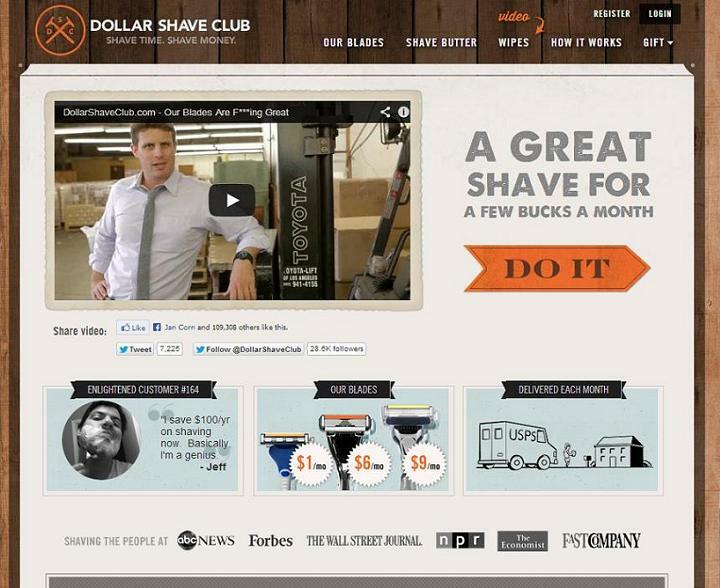 “Dollar” shave club doesn’t actually offer anything for a dollar a month. You have to pay shipping and handling on that lowest-price offer. So, $3 a month. Still, that’s a very affordable offer for a razor and blades. Many DSC customers, for instance, report spending about $20 a month previously. Notice you can spend more, if you want to–The Up-sell. DSC is clear and upfront about this, a smart approach. Using three core price-points gives potential customers an easy way to resolve the classic “good, better, best” decision. Some will stay low, others buy high, and the rest choose the middle as just right. To make this happen, Levine lined up low-cost manufacturing and Dubin went to work creating a fun and reliable brand. They had a product and a concept. Next they needed to engage their potential customers to create conversions. Branding and Engagement can be the Hardest Parts. You have to find a way to deliver your message to your target market. DSC was far too small to launch a nationwide print, radio and television campaign. That takes tens of millions of dollars. Today’s marketing world offers a low-cost alternative: Social Media. That’s not to say that using services like Facebook and Twitter is simple. However, one of the basic rules is: Find out where your Ideal Customer hangs out, and go there. Dubin chose a YouTube video as his key media because he knew his early-adopters (men, 18 to 35, of moderate income) love to hang out there watching funny videos. To succeed, he had to make his message authentic, creative, and humorous. While you won’t find any dancing kittens, you will find plenty of smart content. Dubin used his improv background to craft an authentic, creative, and humorous advertisement. He’s included a forklift, employee antics, and a bear. What fun! And his key slogan is spectacular: “Our blades are f**king great!”. How many times do you suppose that one small bit of copy led to “dude, you gotta see this video!”? If it was, we’d all own adorable kittens. One way or another, you have to take your campaign’s leads and convert them into customers. That’s where outstanding landing page design and good conversion techniques come into play. Take a look at Dollar Shave Club’s landing page (the key to gaining all those subscribers), and see which lessons you can use. Distinctive, simple logo and site name. “Dollar + Shave + Club” Perfect! Catchy but clear tagline: “Shave time, shave money” Check. Message delivered. No-baloney sales pitch (the headline): “A great shave for a few bucks a month”. Got it? Of course you do! Evocative graphics or sales copy. Tough to improve on Mike’s 94-second video. Obvious and convincing Buy Button: “DO IT”. Pretty good, huh? Product image and Offer explanation: two very basic graphics. Done. What Else did Mike Dubin do Well? He brought a background in marketing and branding to the table. You can do this, too, by doing your research on the basics and learning from experts like Danny Iny. It’s not magic, and you don’t need sleazy sales tactics, trickery, or luck. He played to his strengths. Dubin is likable, sincere, and funny. These traits empower his message and portray him as a guy you can trust. Dubin focused on the benefits of his program without dwelling on the features. Notice how little time he spends talking about multi-blade razors. Mike and his team took on The Big Boys, in spite of what look like impossible odds. Gillette already owns over 65% of the world’s $13 billion men’s shaving market (Euromonitor International). How could a little guy hope to compete? That’s where Niche Marketing comes in. Even a tiny slice of a huge pie can give you with a comfortable living. Smart entrepreneurs still make millions selling burgers, despite the power of McDonald’s and Burger King, for instance. Dollar Shave Club can win big with just a couple points of market share. The big players use brute force and high-priced shelf space to make their sales. DollarShaveClub, on the other hand, only has to convince each customer once to sign up in the first place. Of course, after that they have to provide a solid value and top-notch customer service–but don’t we all? Choose your niche wisely. Identify your target customer and their key pain points. Create a strong and valuable offer to fix the pain. Get the message out there, using creativity and authenticity. Build a brilliant landing page and support system to convert browsers into buyers. Do all of those things right, and your business can make headlines, too! What do you think of monthly subscription plans? In the comments, tell us about an interesting product or program you pay for monthly–or one you offer using this model. We don't have room to list all the writers and editors who helped Jim Bessey create this post. You can find most of them hanging out together in Jim's thriving Facebook Group. Check out the top sidebar at SoWrite.Us.com to learn more. Next Post » Ask the Readers: What’s Wrong with Webinars? Want More Subscribers? Avoid These 8 Email Marketing Mistakes! You’ve created an amazing review of this often overlooked business model… thank you, it opened up my mind to new possibilities! First time I’ve seen their [home page] video, I thought they’re clever than I could have ever imagined… it’s a short and funny clip that explains in simple words the benefits and advantages members get. It’s interesting to see others replicate this formula in other industries as well… I think there’s a hidden monthly club in any niche, is it? Thanks for being the first to comment here, John. I love your observation about a “hidden niche”–just waiting for some smart marketer to find it. And yes, affiliates of successful subscription services can win big, too. Great point! Great profile and analysis, Jim. This in so many ways is a great example of the practical application of the smart marketing principles Danny preaches to us all the time here. Thanks for some excellent and useful reading! Your opinion means a lot to me. Without your help and encouragement, it’s unlikely you’d have been reading this post at all. Have to agree with you that the success of DSC only demonstrates the high value of the advice Danny and his team present here every day. “I wish I’d thought of that!” is one of those thoughts we often have seeing this kind of success. I’m not sure I’d have known how to find all that seed money, but it would be fun to try, wouldn’t it? I’m glad you found this analysis enlightening. Yours is a compliment I truly appreciate. Great analysis of very smart, entertaining and non-douchey marketing. Totally love the video. Made me think, why isn’t someone doing something similar geared to women? Although maybe they are and I just haven’t come across it yet. Love that you talk about how carving out a tiny slice of a huge pie can make for a very comfortable living. So true, and it’s very cool that these guys didn’t let the fact that there are so many big kahunas in their market frighten them. You’ve named two other extremely successful subscription plans that many shoppers don’t even know exist. “Things we drink all the time” certainly make for a fine monthly-supply candidate, don’t they? Thanks very much for your observations. You bet, loved your article! So is The Dollar Shave Club. My hubby and my son-in-law both signed up right away after seeing the video — which I showed them. Another exciting part of their branding technique is what you receive in each package along with your order. And, they are wise to offer one more choice besides the “good, better, best” line up. Their customers can also choose to receive their razors only every other month. Every time my hubby receives his order I’m impatient to look at the cards inside the package. Great stuff. Aha–a testimonial from you, Yvonne! How cool is that? Every one of us dreams of having customers who can’t stop raving about our products and services. I’d love to hear more about the ‘surprises’ inside each monthly package–I’m intrigued! What they send isn’t earth shaking — but it is always clever. They use cards (usually different sizes and more than one to a package) to send quirky messages. I don’t want to spoil all the fun but I will share one of the most recent we received. A slightly larger than postcard size card had a tid bit of information on one side and on the other side a photograph of a cute (if you’re into them) or ugly (if you’re not) scrunch faced dog with a caption identifying him as a member of the Shave Club team. It may sound lame as I write this but is more appealing when you realize we already have (as Danny teaches) a “relationship” with the folks at The Dollar Shave Club. Fun, inexpensive, long distance “you’re a part of the in-crowd” marketing at its best. Just one more crucial piece in a well-executed marketing and customer service plan, from the sound of it. Wonder how many of us use something similar to this in our customer interactions? Thanks for your behind-the-scenes insight. Seriously, a great article; thanks for pulling it all together to show us how it’s done. I appreciate your kind words. For now, my best advice is only distilled from good friends like Danny & Team, Gary Korisko and Peter Sandeen (and several more not as closely tied to Firepole Marketing). Here’s to your success as you continue your online journey! Laughing out loud in the office whilst watching the video – unexpected but worth it. H.I.L.A.R.I.O.U.S ! The only subscription I have is Spotify. Genius idea for a music lover like me who was spending more than the Spotify monthly subscription a month on music. The idea from Mark/Mike’s business can be applied elsewhere – to whatever people buy continuously – from food to beauty products. But can it be done without the investment? Hhhmmm…..challenge….. Funny is GOOD, isn’t it, Razwana? Yours is always a smart question, too–how much will I need to invest to make big things happen with my awesome idea? Whether it’s deciding to pay monthly for Aweber or to buy a premium WordPress theme (and so on), there’s always money that needs to go into our ideas. Now you have me interested in Spotify, too. I’m sure one of my sons has mentioned it before. Music is something I’d probably be willing to pay for by the month. This is most freaking awesome ales pitch I saw for Razors and I see no reasons why any one wouldn’t want to get this offer. Just such an inspiring fire up marketing technique and the shows the potential of how any small business can get into the market where big boys dominate and still get a chunk money available. I love “freaking awesome” when you really mean it, as you obviously do, Fernando. Great to here that Jim and me and all of us at our agency loved it as I started showing them the clip. They were like this how small businesses need to pitch to attention out of the big boys in the market. Thanks Jim for great explanation of taking a market and going for a tiny slice of that niche market. The Dollar Shave Club makes buying razor blades so easy, no having to remember which type to buy when I grocery shop. That’s why I signed up my husband. And the Dollar Shave Club has delivered on its promises, which is why we’ve kept the subscription. I’m so excited to meet another DSC customer, Alysan! You are 100% right about the key: “delivered on its promises.” Keeping those subscribers who show faith in you is ridiculously important. Nobody can afford to keep finding new customers to replace the ones who leave in disgust. Thanks very much for reading and replying. Brilliant. This post had me searching my daily/monthly routines to see what is painful and what I wish could be delivered regularly. Of course the point of getting the message out there using creativity is much easier said. It takes a talented and devoted mind to make a video that is as funny as it is informative. You’re right on all points, Jevon. Great observation you’ve made, that we each should search our own routines and pay attention to painful things. And, yes, creating a video THAT good took some talent–and maybe even a little luck. “Funny and informative” can be tricky to accomplish. Amazing the power of a good video, isn’t it? Yeah, it’s one of those videos you have to watch more than once to catch everything. The fact that watching makes you want to sign up kinda says it all. Thanks for reading and taking such a close look at the video, Bethanny. A memorable post I will be gong back to in months and months to come. What a business case you’ve built to show how all the tools we are learning about are for REAL! From dream idea to viable business – this is how it’s done. You’ve proven to me there are no excuses for not doing it right because it’s not so much about money as it is about executing the strategy step by step with tools so poweful if only we keep practicing to use them. Hope to read another post from you soon! Have to admit that sometimes the “no excuses” part is the hardest one to take to heart. Thanks very much for your kind words. I f**King love that video! LOL Great job, Jim! I’m pretty sure I’m blushing now, Glory! It’s probably a first, for men. Women get make-up, magazines, and hosiery by mail and have for years. Men, not so much. Maybe newspapers? Totally untapped market in many ways. Good job. One that hadn’t occurred to me. I wonder if women in general are more likely to sign up for monthly programs. I’m pretty sure men are considered more impulsive shoppers, less prone to making planned purchases. Thanks for adding depth to the conversation, Katharine. I love DSC (even though I don’t shave!). It’s pretty awesome that they created a $1M/month business. However, I don’t think you can gloss over the fact that they launched with $1.145M in funds. There’s a massive amount to learn from DSC, and you’ve done a super analysis of it, but they did some awesome work in getting that investment, and it was very important to their success. You are entirely right, Alastair. The money matters– a lot. Knowing HOW to raise that money, as you point out, is even more important. I will say, too, that *deciding* to seek major investment in your business is “just” another part of your business plan. I’m sure plenty of entrepreneurs have raised a nice pile of cash and then proceeded to squander it, too. Thanks for making that important point, Alastair. I think monthly subscription plans are a great idea as long as your audience feels they’re receiving value. For example, I signed up for a monthly coaching program at $99.00 per month, but I discontinued the plan because I felt I wasn’t learning anything new or growing. Most of the information can be found on the internet for free. The coaches were okay. Yup–for 99 bucks a month, you’d better bring some *serious* material to the table! You were smart to seek out qualified help, and smart to bail out when yo didn’t get what you expected. I hear you loud and clear about the partner, too. While there are built-in disadvantages to partnering, the benefits of forming a solid working partnership can tip the scales dramatically. “Going it alone” is empowering, but it sure can get overwhelming, can’t it? Thanks for your valuable insights! Great post, Jim! I’d heard of DollarShaveClub, and seen the video, but I didn’t know much of the back story before reading this post. Thanks! Thanks very much for reading, Felicity. When you have time, I’d love to get your thoughts about DSC’s website design, based on your expertise. Super interesting to read about DSC’s success story. It was one of the few designs that looked like it would both inform and convert well. So many others are just cool to look at but overlook the fact that the site has a job to do. I’m sure having the marketing and improv background was a large part of this success story. Having $1 million doesn’t hurt, either but, as you point out, there isn’t really all that much going on that any of us can’t put together. I’d be very interested to know how the initial launch was organized. Zero to 12,000 sign-ups in 48 hours. That’s a trick I’d like to know how to pull off. Heck, zero to 120 in 48 hours sounds pretty darn good. Any ideas on how they did it? Ooh, that’s really interesting, Kenneth. I didn’t come across your reference when I was looking into DSC. To my untrained eye, it was a superb site design; but I have no formal training about that. And, for sure, the *speed* of DSC’s customer-traffic attraction and conversion is somewhat mind-boggling. How did they do it? OK, great question. I wish I could give you a definitive answer, Kenneth. I think the video “went viral” almost immediately. I also think DSC spent a substantial part of their VC on a some sort of pre-launch or in-launch publicity program. The high quality of those early news stories strikes me as something that was carefully orchestrated. There are ways to drive traffic to a YouTube video (to gain conversions from there)–but that’s way beyond my expertise. If anyone here has some insight on this point, I’d love to learn more. Great article. I enjoy reading short and simple case studies like this. Just shows that a man with an idea and the internet can achieve Big Things. But what was not explicitly described in your articles was how the Dollar Shave Club actually received large amounts of traffic in a week. If it’s a new site SEO is probably out. I know you mentioned the viral humorous video, but I’m still not convinced that funny videos sell stuff. I’ve tried this out in my niche last year and while I got a lot of video views there was almost no conversion. I agree with you, Jake. Funny videos probably don’t sell very much if they don’t ask for the sale–and if the traffic they attract isn’t the right demographic. I suspect you’re right about SEO, too. Every source I consulted credited traffic to the video as the customer-acquisition channel. What I’m not sure about is how DSC drove traffic to the video, or if it simply went viral on its own merits. Thanks for your comments and feedback, Jake! Sure got the gears turning in my head. It’s amazing how much opportunities there are when we stop getting intimidated by big brands. When a product is dominated by a very small number of companies yet the consumption is huge, there will always be an untapped niche inside it that one can capitalize if we just look outside the original business model. Again, nice post, enjoyed discovering this. I hadn’t thought about your point regarding “dominated by a very small number of companies.” Great observation! While those few are busy squeezing out or discouraging “big” competitors, they can’t worry too much about little guys in small niches, can they? Whao, I took my time to read this from A-Z. Danny, thank you for allowing this post to come to your blog. You know I got hit when I lost my blog ivblogger.com to hackers but I’m trying to be back now with a new blog. I guess DSC is a nice case study. I’ve been checking some posts on Tim Ferris’ blog as well. Need that great idea to build a million dollar company. Please give us more of this! I’m also thankful to Danny for hosting this post. He challenged me to write the case study, and I had a fine time doing the research and write-up. Keep your eyes and ears open to all possibilities, Sheyi, and that million-dollar idea will likely come to you when you least expect it. Good luck! Jim, great job! You asked about other subscription clubs. Well, I signed up for an unusual recently – olive oil. It’s fresher than what is commercially available because it is flown over on a jet rather than sent on a slow boat. It’s called the Fresh-Pressed Olive Oil Club. The marketing was pretty convincing while the free sample sealed the deal. Funny thing is, I don’t really like olive oil. It tastes to much like OLIVES. But, I’m trying to be more healthy, so they’ll get my cash every month. Your experience shows just how effective the monthly plan can be, no matter what the product is. Very cool! This is an awesome story, so awesome I predict that Dollarshaveclub.com will soon be a target of a takeover by the likes of Gillette. Then the founders’ bank accounts will gain even more awesome weight, if they agree to the marriage proposal/s. That just might happen, if only to “shut them down”! I recently purchased a product simply because their sales video was fantastic–and ridiculously convincing. AND it wasn’t even a product I had *considered* buying. If you can find a medium that’s highly entertaining and convincing to your audience, and then make a great (humorous?) pitch, big things can happen! Thanks so much for stopping by to read and comment, Marianne.